There are many ways in which our parish members serve Advent for each service. 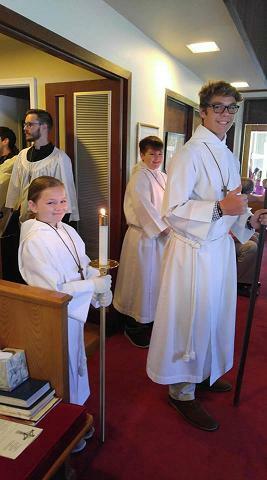 Parishioners can serve on the Altar Guild, or as choir members, lay ministers, lectors, acolytes, ushers, and offering counters. Each Sunday, Eucharistic Lay Visitors deliver the Eucharist to members who are homebound. Advent has several large programs that allow parishioners opportunities to give their time for the benefit of others. Silent Auction: The annual Silent Auction is the biggest fundraiser in support of Advent Day School. The ticketed event offers an evening of dinner and drinks with the opportunity to sponsor the event, donate services or goods, or bid on dozens of donated items. The event regularly raises in excess of $25,000, which is used for technology updates, renovations, and other improvements to the Day School. 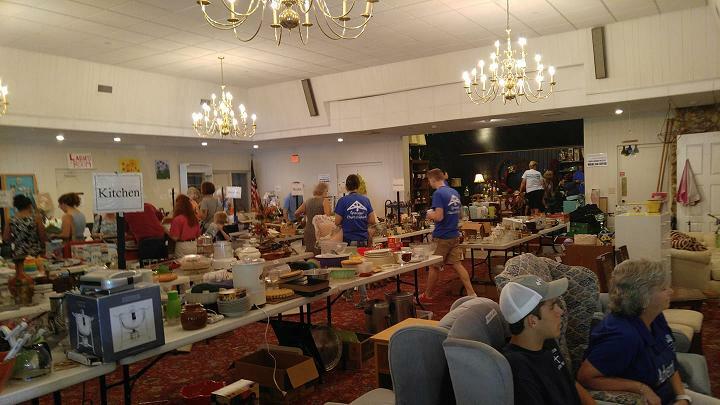 Rummage Sale: One of Advent’s largest fundraisers is the summer Rummage Sale, coordinated by the Episcopal Church Women (ECW). Parishioners and others donate items, then volunteers spend weeks organizing and pricing the items in the Parish Hall. The event spans two days and draws hundreds of people from the community. Leftovers are donated to charitable organizations in town, and the proceeds are divided between local charities designated by ECW. Breakfast with Saint Nicholas: This event was new in 2018, with the goal of teaching more about the gift-giving of the historical Saint Nicholas. Advent parishioners served breakfast, provided music, and arranged for a surprise visit by St. Nick. Bowls & Brews: New in 2019, this event was an opportunity for anyone in the community to compete in a chili cook-off. The church provided child care and presented a family movie to the children. Parishioners donated breads and desserts, and volunteers organized the logistics. There were 15 entries including another local Episcopal Church team and students from local culinary schools. Money raised during the event will fund a diversity scholarship for the Day School. The Outreach Committee coordinates the various local, national, and international outreach missions of the church community. 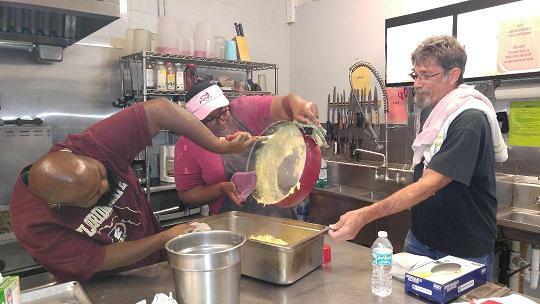 We contribute financially and through volunteer work to Grace Mission, an Episcopal mission in midtown addressing the physical and spiritual needs of poor and homeless people in Tallahassee. One Saturday a month, Advent sends a team of volunteers to prepare breakfast for those who visit the Mission. Advent provides assistance to A Full Summer, a food packaging event that brings together volunteers who donate time and money to package meals for needy children who do not receive school lunches over the summer. In 2018, Advent established a companion parish relationship with La Trinidad in Los Arabos, Cuba. Part of our support helps with the maintenance and upkeep of a Living Waters of the World water filtration system that provides safe water for the entire community. A group of Advent parishioners and others visited the church in January 2019 for a week of shared activities and relationship building as well as bringing much needed supplies and financial support. A percentage of our offerings support Episcopal Relief and Development, which is an organization to facilitate healthier, more fulfilling lives in communities struggling with hunger, poverty, disaster, and disease. Parishioners also individually designate offerings to specific relief efforts through ERD. 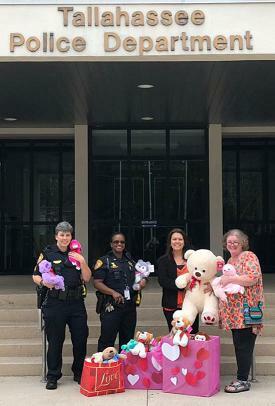 In 2019, Advent held its first Teddy Bear Sunday to collect stuffed for the Tallahassee Police Department. Officers keep stuffed animals with them in the event they are called to a crime where a child is present and needs something to hold for comfort. In the past, Advent has participated in other programs, including Habitat for Humanity, Kairos Prison Ministry Teams, the Tallahassee Equality Action Ministry, Refuge House, Food for the Poor, and disaster relief through the Red Cross. We hope to continue to expand our program of outreach and giving and feel this outward focus to do God’s work in the community helps bring us closer together as a church family.